Safety device users face a dilemma when selecting safety components: They want to create a high-performance system, using best-in-class parts, but this often means buying from multiple suppliers. Connecting these devices to the safety control system to create an integrated system can be complicated and may require different cabling/wiring configurations, communications interfaces and/or long, hardwired cables. 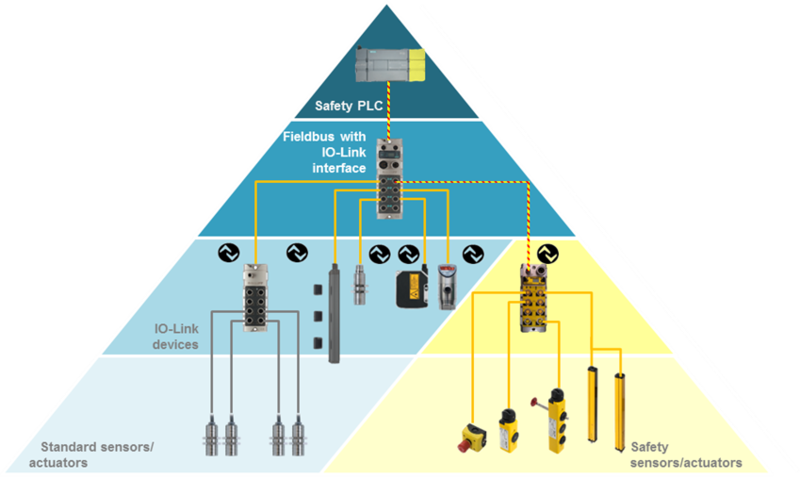 One solution, discussed in a previous blog on industrial safety protocols, is to connect devices to an open, device-level protocol such as Safety Over IO-Link or AS-i Safety At Work. These protocols offer a simple way to connect devices from various suppliers using non-proprietary technologies. Both Safety Over IO-Link and AS-i Safe offer modules to which many third party devices can be connected. The simplest way to connect to a safety hub/module is to buy compatible products from the hub supplier. Many safety block/hub suppliers also offer products such as E-stops, safety light curtains, door switches, inductive safety sensors and guard locking switches which may provide plug & plug solutions. There are, however, also many third party devices which can also be easily connected to some of these hubs. Hubs which are AIDA (Automation Initiative of German Domestic Automobile manufacturers) compliant allow connection of devices which are compatible with this standard. Generally, these devices have M12 connectors with 4, 5 or 8 pins, and the power, signal and ground pins are defined in the AIDA specifications. Most major safety device manufacturers offer at least one variant of their main products lines, which are AIDA pin-compatible. Some suppliers have lists of devices which meet the M12 pin/connector AIDA specification and may be connected to AIDA compatible modules. Note that not all the listed safety devices may have been tested with the safety blocks/hubs, but their specifications match the requirements. AIDA compatible devices have been identified from all major safety suppliers including Balluff, Rockwell, Sick, Schmersal, Banner, Euchner and Omron STI; and range from safety light curtains to door switches to E-stop devices. While some manufacturers prefer to focus on locking customers into a single supplier solution, many users want to combine devices from multiple suppliers in a best-in-class solution. Selecting a safety I/O block or hub which supports AIDA compatible devices makes it fast and easy to connect a wide range of these devices to create the safety system that is the best solution for your application. In a previous blog, we discussed how “Safety Over IO-Link Helps Enable Human-Robot Collaboration”. It was a fairly narrow discussion of collaborative robot modes and how sensors and networks can make it easier to implement these modes and applications. This new blog takes a broader look at the critical role safety plays in the intersection between the machine and the user. In the past, the machine guarding philosophy was to completely separate the human from the machine or robot. Unfortunately, this resulted in the paradigm of “safety vs. productivity” — you either had safety or productivity, but you couldn’t have both. This paradigm is now shifting to “safety & productivity”, driven by a combination of updated standards and new technologies which allow closer human-machine interaction and new modes of collaborative operation. 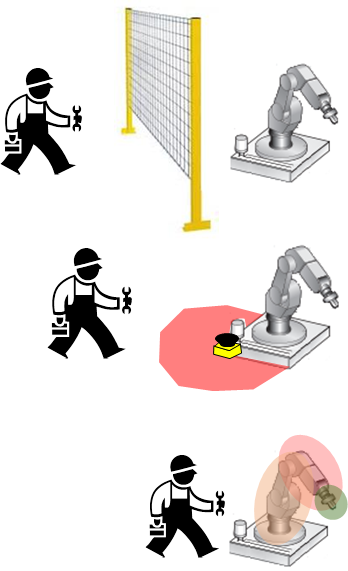 The typical machine/robot guarding scheme of the past used fences or hard guards to separate the human from the machine. Doors were controlled with safety interlock switches, which required the machine to stop on access, such as to load/unload parts or to perform maintenance or service, and this reduced productivity. It was also not 100% effective because workers inside a machine area or work cell might not be detected if another worker restarted the stopped machine. Other drawbacks included the cost of space, guarding, installation, and difficultly changing the work cell layout once hard guarding had been installed. We’ve now come to an era when our technology and standards allow improved human access to the machine and robot cell. We’re starting to think about the human working near or even with the machine/robot. The robot and machinery standards have undergone several changes in recent years and now allow new modes of operation. These have combined with new safety technologies to create a wave of robot and automation suppliers offering new robots, controllers, safety and other accessories. Machine and robot safety standards have undergone rapid change in recent years. Standard IEC 61508, and the related machinery standards EN/ISO 13849-1 and EN/IEC 62061, take a functional approach to safety and define new safety performance levels. This means they focus more on the functions needed to reduce each risk and the level of performance required for each function, and less on selection of safety components. These standards helped define, and made it simpler and more beneficial, to apply safety PLCs and advanced safety components. There have also been developments in standards related to safe motion (61800-5-2) which now allow more flexible modes of motion under closely controlled conditions. And the robot standards (10218, ANSI RIA 15.06, TS15066) have made major advances to allow safety-rated soft axes, space limiting and collaborative modes of operation. On the technology side, innovations in sensors, controllers and drives have changed the way humans interact with machines and enabled much closer, more coordinated and safer operation. Advanced sensors, such as safety laser scanners and 3D safety cameras, allow creation of work cells with zones, which makes it possible for an operator to be allowed in one zone while the robot performs tasks in a different zone nearby. Controllers now integrate PLC, safety, motion control and other functions, allowing fast and precise control of the process. And drives/motion systems now operate in various modes which can limit speed, torque, direction, etc. in certain modes or if someone is detected nearby. The monitoring of these robots, machines and “spaces” requires many standard and safety sensors, both inside and outside the machine or robot. But having a lot of sensors does not necessarily allow the shift from “productivity vs. safety” to “productivity & safety” — this requires a closely coordinated and integrated system, including the ability to monitor and link the “restricted space” and “safeguarded space.” This is where field busses and device-level networks can enable tight integration of devices with the control system. IO-Link masters and Safety Over IO-Link hubs allow the connection of a large number of devices to higher level field busses (ProfiNet/ProfiSafe) with effortless device connection using off-the-shelf, non-shielded cables and connectors. Balluff offers a wide range of solutions for robot and machine monitoring, including a broad safety device portfolio which includes safety light curtains, safety switches, inductive safety sensors, an emergency stop device and a safety hub. Our sensors and networks support the shift to include safety without sacrificing productivity. For the past several years, “collaboration” has been a hot topic in robotics. The idea is that humans and robots can work closely together, in a safe and productive manner. Changes in technology and standards have created the environment for this close cooperation. These standards call out four collaborative modes of operation: Power & Force Limiting, Hand Guiding, Safety Rated Monitored Stop, and Speed & Separation Monitoring (these are defined in ISO/TS 15066). Power & Force Limiting is what many people refer to when speaking about Collaborative Robots, and it applies to robots such as Baxter from Rethink Robotics and the UR series made by Universal Robots. 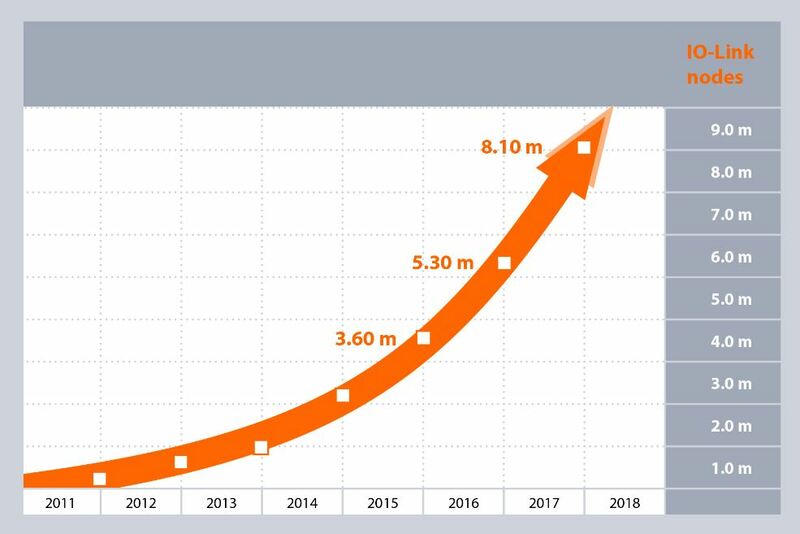 While the growth in this segment has been fast, there are projections that traditional robots will continue to make up 2/3 of the market through 2025, which means that many users will want to improve their traditional robot solutions to “collaborate”. Hand guiding is the least commonly applied mode, it is used for very specific applications such as power assist (one example is loading spare tires into a new car). It generally requires special equipment mounted on the robot to facilitate the guiding function. Safety Rated Monitored Stop and Speed & Separation Monitoring are especially interesting for traditional robots, and require safety sensors and controls to be implemented. Customers wanting closer human-robot collaboration using traditional robots will need devices such as safety laser scanners, safety position sensors, safety PLCs and even safety networks – this is where Safety Over IO-Link can enable collaborative applications. 1) Faster & cheaper integration/startup through reduction in cabling, standardized connectors/cables/sensors and device parameterization. 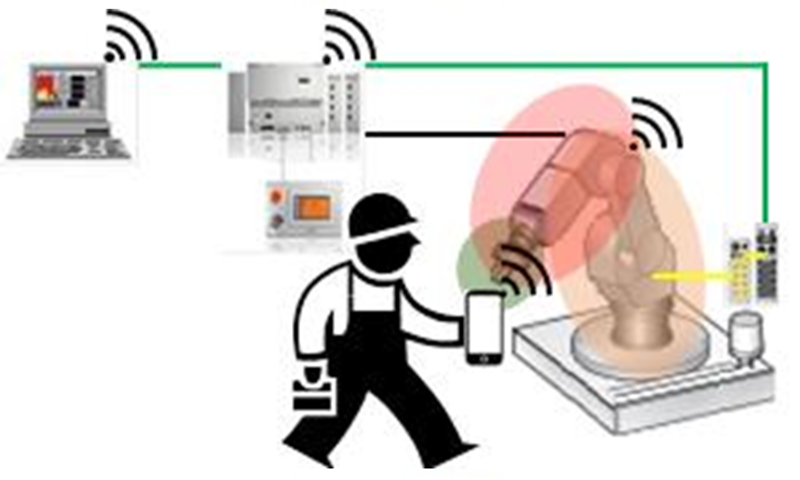 2) Better connection between sensors and controllers supports robot supplier implementation of IIoT and improved collaboration by making it easier to gather process, device and event data – this allows improved productivity/uptime, better troubleshooting, safer machines, preventative maintenance, etc. 3) Easier alignment of the robot’s restricted and safeguarded spaces, simplifying creation of more dynamic safety zones to support closer human-robot collaboration. The third item is especially relevant in enabling collaborative operation of traditional robots. The updated standards allow the creation of a “shared workspace” for the robot and human, and how they interact in this space depends on the collaborative mode. At a simple level, Safety Rated Monitored Stop and Speed & Separation Monitoring require this “shared workspace” to be monitored, this is generally accomplished using a “restricted space” and a “safeguarded space.” These “spaces” must be monitored using many sensors, both inside and outside the robot. First, the robot’s “restricted space” is set up to limit the robot’s motion to a specific 3-dimensional volume. In the past, this was set up through hard stops, limit switches or sensors, more recently the ANSI RIA R15.06 robot standard was updated to allow this to be done in software through safety-rated soft axis and space limiting. Most robot suppliers offer a software tool such as “Safe Move” or Dual Check Safety” to allow the robot to monitor its own position and confirm it is where it is supposed to be. This feature requires safe position feedback and many sensors built into the robot. This space can change dynamically with the robot’s program, allowing more flexibility to safely move the robot and assure its location. Second, a safeguarded space must be defined and monitored. This is monitored using safety rated sensors to track the position of people and equipment around the robot and send stop (and in some cases warning) signals to the safety controller and robot. Safety Over IO-Link helps connect and manage the safety devices, and quickly send their signals to the control system. In the past, integrating a robot with safety meant wiring many safety sensors with long cable runs and many terminations back to a central cabinet. This was a time consuming, labor intensive process with risk of miswiring or broken cables. IO-Link significantly reduces the cost, speed and length of connections due to use of standard cables and connectors, and the network approach. It is also much simpler for customers to change their layout using the network, master & hub approach. 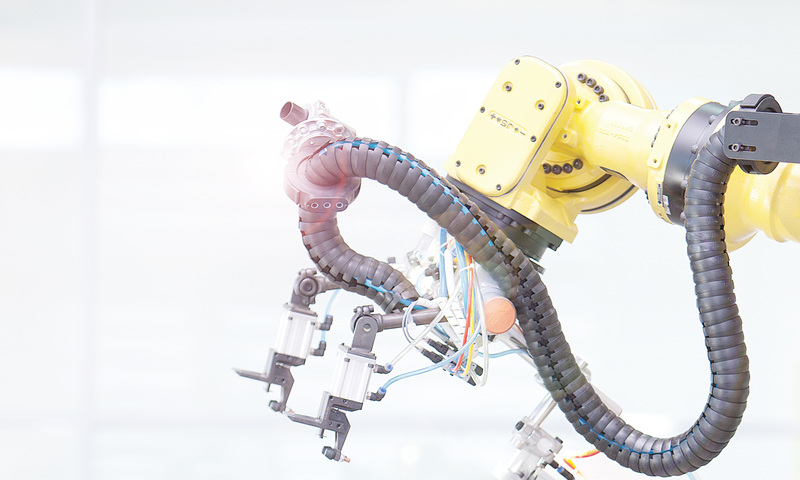 Customers wanting collaborative capability in traditional robots will find that Safety Over IO-Link can significantly simplify and reduce the cost of the process of integrating the many advanced safety sensors into the application. To learn more, visit www.balluff.com.